Warning: This post contains marriage advice and occasional mushiness. 7 years ago I married a guy... and somehow we've managed to stick it out and we're still living in the same house. And most of the time we're happy to be there. I say "most of the time" because I'm realistic and believe in being honest about marriage. It's not all sunshine and rainbows, but that doesn't mean it's gloomy all of the time either. If I've learned anything in the past 7 years it has been about give and take. A partnership works best if things are well balanced. We have things that both of us appreciate: video games, humor, an occasional good cigar, etc. We also have things that one person likes but the other doesn't. He still doesn't understand my love of the original Star Trek and Star Wars and he complains about my constant reading of books and Walking Dead comics. And I don't get or want anything to do with some of the stuff he likes to do. But that's okay because it means we have things we can do together and we have things we can do separately so we aren't always around each other. We have our own lives that we are happy with, but we choose to live them together. And I think that's why we work. P.S. I am no expert so please don't look to me for marriage advice. Last year I compared marriage to being stabbed in the face by a cute monkey. So, you know, grain of salt or whatever. P.P.S. 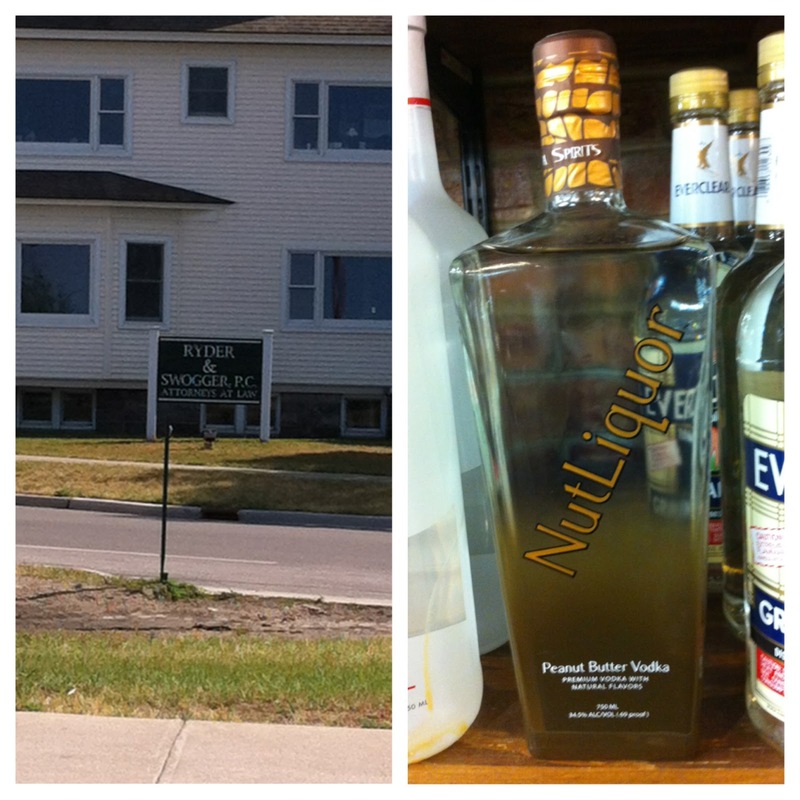 Nut Liquor is funny to me because I have a dirty mind. But seriously I'd never drink peanut butter flavored liquor... anything peanut butter flavored that isn't actually peanut butter is just gross.